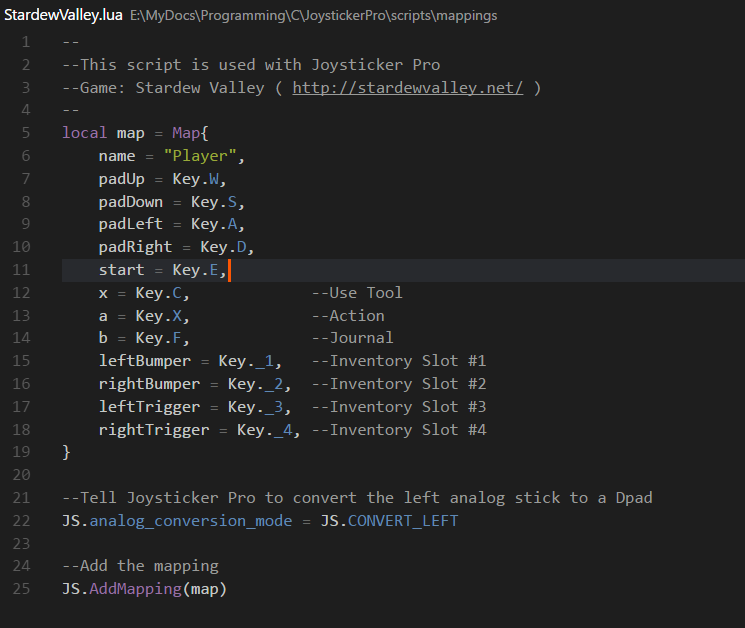 Joysticker Pro is the succesor to Joysticker which is a Lua-scriptable joystick to keyboard mapper that lets you use your joysticks for games that don't support them. Operation is controlled by simple Lua scripts that tell which buttons/inputs to map to which keys. All controllers are now mapped to a common Xbox360/PS3 button configuration (A,B,X,Y, trigger buttons, shoulder buttons etc.) which allows easier sharing of scripts. Try out Joysticker Pro to make sure it works for your configuration! If it works and is useful to you then please donate to show your support and encourage future development. 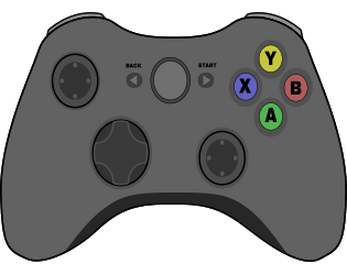 If your controller type is not included (or how you'd like), you can create one and add it to the userControllerDb.txt using either Steam or the controller mapper utility (to be released later). 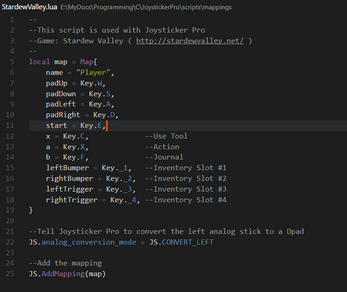 To use Steam, open Big Picture mode, configure your joystick and then look in config/config.vdf in your Steam installation directory for the SDL_GamepadBind entry. Copy that to a new line in userControllerDb.txt and save it. Need more information? Find a bug? Let me know in the forums. Any way to program the script to hold down a key?